Turkish Piyaz salad is a classic salad that tastes wonderful and, in addition, is suitable for vegetarians and takes only a short time to prepare. 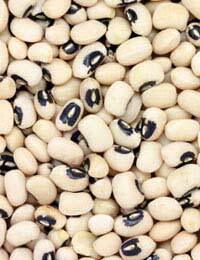 One of the most popular ways to make a piyaz salad is to use black eyed peas. After putting all the ingredients in a large bowl, and stirring well, pour the dressing over the piyaz salad, before blending the ingredients again. The dressing for the piyaz salad can be prepared in a small bowl, making it easier to pour over the salad. The dressing for the piyaz salad consists of olive oil, zahtar, lemon juice along with salt and pepper. Another variation of the Turkish piyaz salad is to use navy beans, tomatoes, onions and hard boiled eggs. one tablespoon of red wine vinegar. Piyaz is a salad that is constructed in layers. Get the navy beans and drain and, after draining them, pour them into a serving bowl. After doing this add the hard boiled eggs followed by the chopped tomatoes and sliced onion. The dressing for this version of Turkish piyaz salad is made by mixing olive oil and vinegar, which is then poured over the salad. It is also possible to make a Turkish piyaz salad using kidney beans. a quarter of a sliced red onion. To garnish the piyaz salad it is possible to use 3 boiled eggs which have been divided into quarters and some black olives. The dressing consists of 50ml of extra virgin olive oil along with half a lemon and some salt and pepper. To prepare the piyaz salad first wash and drain the kidney beans before blending with the remaining ingredients and pouring over the dressing.